Yellow, to most people it denotes a colour but it is also an app, an app that there is much talk about and one that parents certainly need to be aware of. The Children’s Rights Alliance and the Special Rapporteur on Child Protection in Ireland made a statement recently on the Yellow App and the caution that needs to be taken around using it. So what is the Yellow App and what are the safety concerns in relation to it? 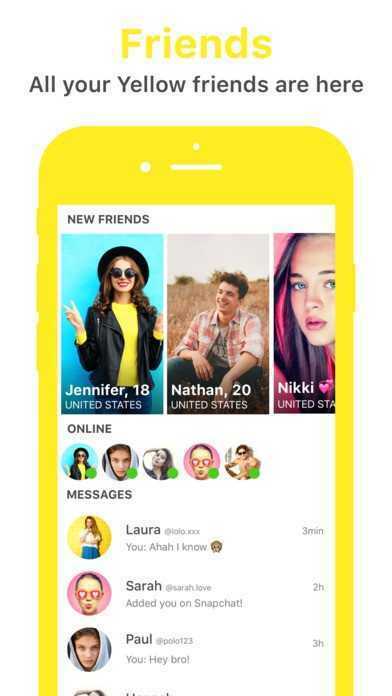 Yellow operates by asking users for their Snapchat user name, they are then asked for their age and if they are a boy or a girl and whether they are looking to meet boys, girls or both. The age restriction on Yellow is 17 plus however this is pretty easily got past and in the app store is merely a guideline. 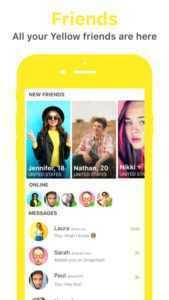 The developers of Yellow promote it as a ‘way to make friends on Snapchat’ but it is not that simple or innocent. After entering the initial information users are asked to upload a selfie. They are then asked by the app ‘Meet People Nearby?’ by clicking ok to this, users have access to images and information of people within a 60 mile radius of their location. Users have to give permission for access to their location or they cannot use Yellow. To start using the app, users see images of other users and swipe right for an image that they like and left for one they don’t. 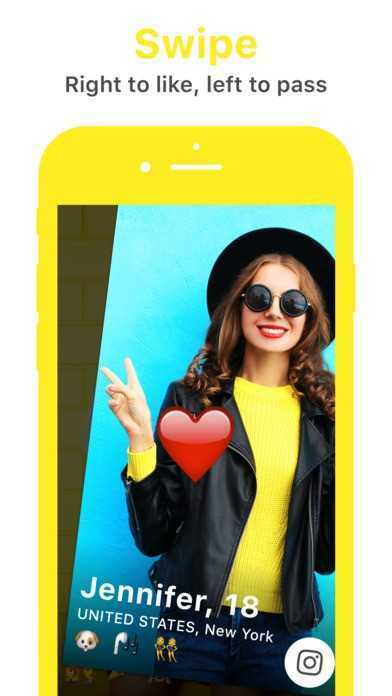 If you right swipe indicating that you like someone and they do the same to you, then you are considered ‘friends’ on Yellow and the app shares your Snapchat user name with the other person. The two people can then start to message each other via Snapchat. It’s totally understandable that there are concerns in relation to Yellow, by parents and school communities. The best advice to offer your teen if they download Yellow is to exercise extreme caution. Implementing a ‘ban’ on using Yellow is likely to push its use underground. It’s best to employ an open communication style where this is concerned, talk with your teenager about this app and how best they should exercise caution. Remind them of the importance of behaving the same as they do when they are offline as they do when they are online. The virtual and real worlds can become blurred and children, regardless of age can get caught up in something online that can be difficult to back away from. It is important to also point out that things that appear pretty innocent online can develop into something more serious and have long lasting consequences. 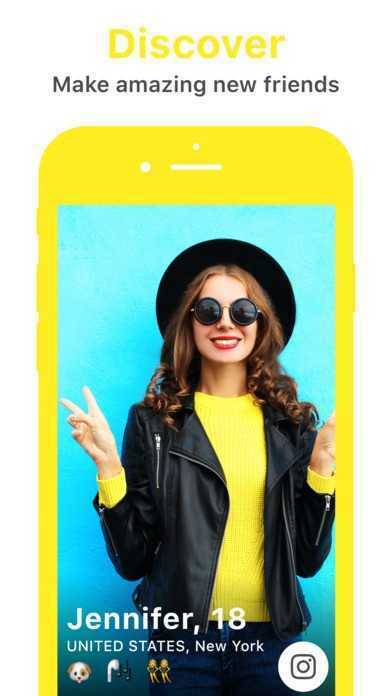 There has been criticism of Yellow as being like ‘Tinder for Teens’ given that teenage years are all about testing boundaries and new experiences it is likely that your child will want to use Yellow at some point, even just to see what all the fuss is about. The most important thing is that your child is equipped to make smart choices where apps like Yellow are concerned, to ensure that they stay safe online.